Login to Backendless console, select your app and click he Files icon. Navigate to a directory where a new directory should be created (or just stay in the root one). Enter the name of the directory in the popup and click the Save button. The directory is created and can be used right away in console as well as the APIs. Login to Backendless console, select your app and click the Files icon. Browse to a directory where the file should be created and click the New File button from the toolbar. Enter the name of the file and select a syntax highlighter. Click Save to save the file. It immediately becomes available for download. Work with your file storage as with a fully-functional GIT repository. 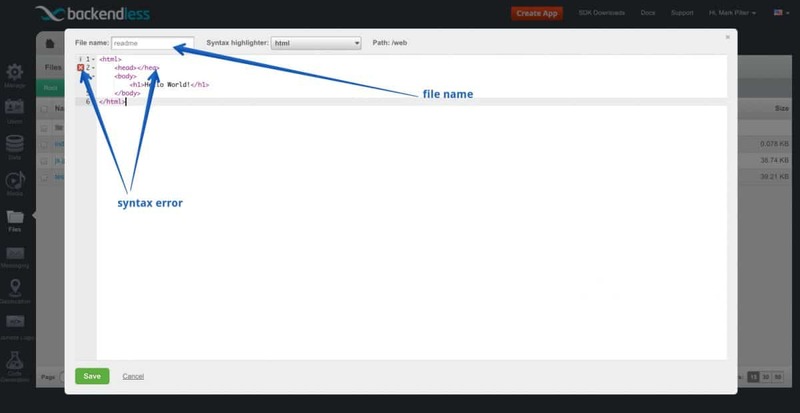 Upload files to Backendless via API or with the Backendless Console and they are automatically added to the repository. 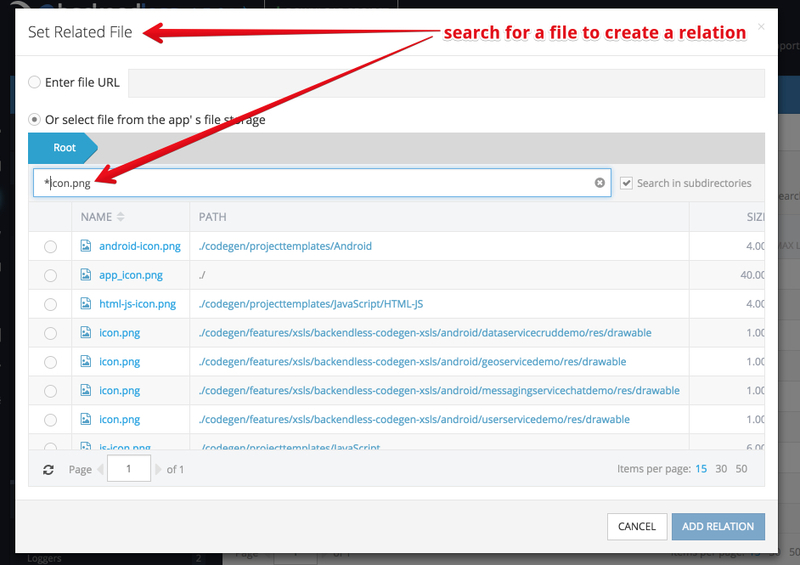 Add/commit files via GIT and they are automatically copied to the “browseable” file storage. These files become accessible via Backendless download API, and the web server function. Backendless File storage can be used to host web applications. The file storage includes a special directory – “/web” which is used to host web application content. Since the default URLs for files in your file storage are rather long and use the backendless.com domain, it may be desirable to map a custom domain name to your Backendless backend and specifically the file storage. Note that at the time of writing of this post, this feature is available for the applications in the Backendless Plus pricing plan, but that may change in the future.